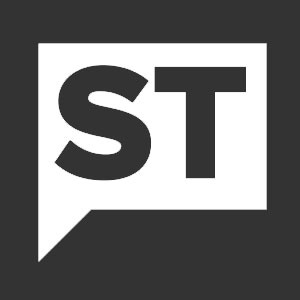 Nicholas Winton runs gohht.com and is an independent Toronto-based stock researcher and forecaster. His objective is to identify resource companies that have a high degree of upside or downside potential within specified time frames. To build his forecasts, Nicholas analyzes stocks and commodities using his proprietary forecasting tools. The key driver of his process are "Alpha Signals" which generate a window of time forecast when moves are anticipated to occur. Nicholas also uses sentiment and insider behaviour to further enhance his selection and decision-making process. Through Hedgehogtrader.com Nicholas publishes a number of resource advisory newsletters available by subscription including his flagship publication, Hedgehog Trader Newsletter and his micro-cap newsletter Hedgehog High Roller. Nicholas provides custom consulting work for investment funds and high net-worth individuals pursuing growth situations. You can follow Nicholas on twitter where he often posts comments on gold and silver along with market predictions. 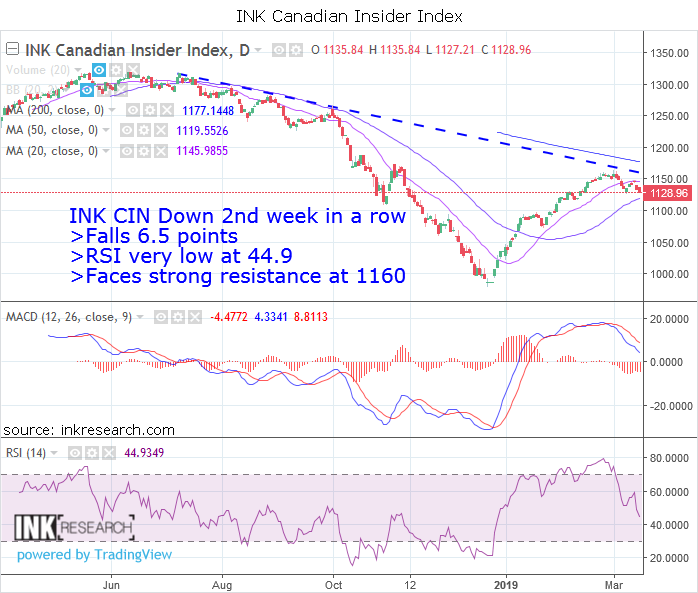 Thank you for joining us in a weekly technical look at the mid-cap oriented INK Canadian Insider (CIN) Index. Last week, the Index pulled back 6.5 points or 0.5% before closing at 1128.96. 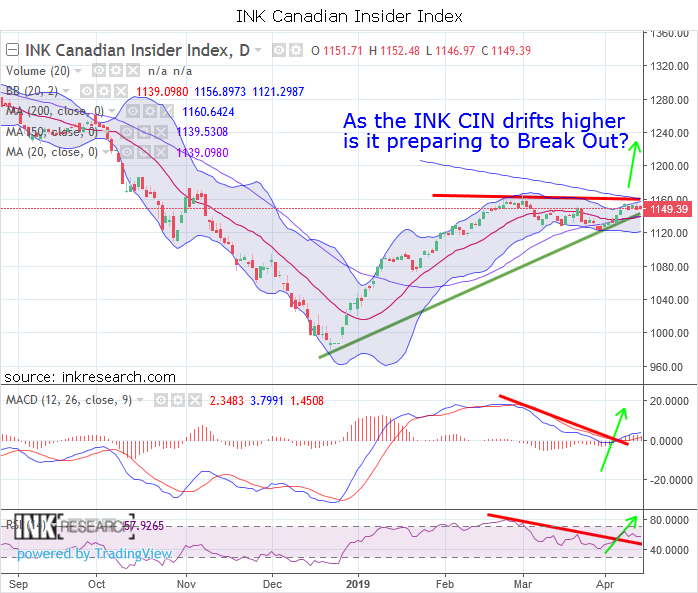 Thank you for joining us in a weekly technical look at the mid-cap oriented INK Canadian Insider (CIN) Index. After enjoying a strong multi-week advance, the Index finally pulled back last week, shedding 22.4 points or 1.9% to close at 1135.41. Thank you for joining us in a weekly technical look at the mid-cap oriented INK Canadian Insider (CIN) Index. Last week, the Index added 4.7 points or 0.4% to close at 1157.83. Thank you for joining us in a weekly technical look at the mid-cap oriented INK Canadian Insider (CIN) Index. Last week, the Index tacked on another 9.1 points to end at 1153.11 for a gain of 0.7%. Over the last 2 weeks, it has climbed 3%.